You are here: Home > Maternity system in crisis? Amy Romano is at it again. This is certainly the tactic adopted by homebirth midwifery. 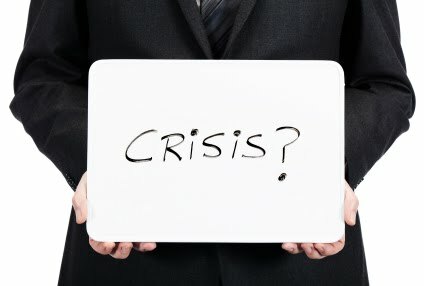 The “crisis” is the rising C-section rate, which is portrayed as unjustified, intolerable, unaffordable and injurious. A secondary “crisis” (which is fabricated) is the rate of infant mortality (the wrong statistic) and the rate of maternal mortality (which is falsely portrayed as rising). When she finally reached Near Miss Mom’s bedside, it didn’t take her long to call a Code Red and assemble the team for the emergency hysterectomy. Romano presents the error of the emergency room doctor as a Mother’s Day parable on the “crisis” in maternity care. There just one teensy, weensy problem. This was NOT a near miss maternity event and it is unfortunate that Ms. Romano has chosen to misrepresent it as such. This is an example of a patient presenting to the emergency room with a rare complication who should have had an immediate specialist consult, but did not. Late postpartum hemorrhage is typically due to sub-involution of the placental bed. Most physicians, like this ED doc, have never seen a case and therefore may fail to recognize it. That’s not to say that there isn’t room for improvement in maternity care, but it is deeply cynical to use the case of an emergency room doctor failing to diagnose a rare postpartum complication as a failure of maternity care and deeply cynical to use it as a Mother’s Day parable.